How to mass deploy Parallels Desktop to Mac with macOS 10.13 High Sierra using Parallels Mac Management Task Sequence. I am trying to press 'Allow' button but nothing happens. This approval UI is only present in the Security & Privacy preferences pane for 30 minutes after the alert. Until the user approves the KEXT, future load attempts will cause the approval UI to reappear but will not trigger another user alert. Moreover, it's not possible to press Allow button if a connection to Mac established remotely due to security-related configuration of macOS to block any security related actions for remote connections. Before performing the instructions below quit Google Chrome application using its Dock context menu > Quit if it's running now. Allow button is pressed locally. As mentioned above, due to macOS security limitations it's not possible to press Allow button (nothing will happen as a result of pressing it) remotely (any source of remote connection). No third-party input methods (keyboards, mouses, touch pads, graphics tablets) and their software are present at the moment Allow button is pressed. Presence of third-party input methods and their software/drivers could possible cause the inability to press Allow button. Temporarily disconnect such devices from the Mac and remove their software/drivers. It has been proven that only a presence of MagicPrefs preference pane render the Allow button unusable. Once Allow button is successfully used, macOS will store this record and it would be possible to continue using previously disconnected devices and install their software/drivers back. 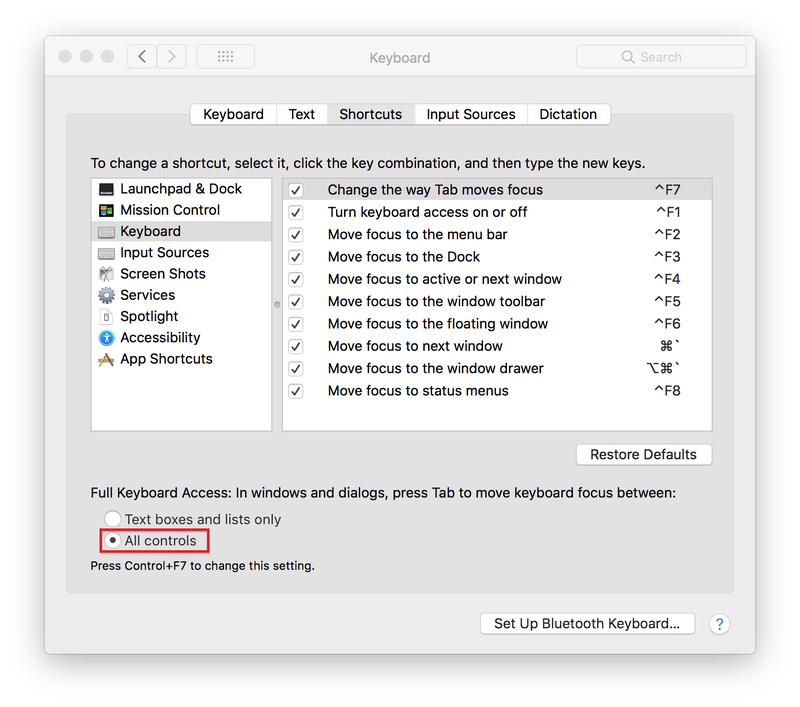 Open System Preferences > Security & Privacy > Keyboard > Shortcuts and switch Full Keyboard Access to All controls. Now open System Preferences > Security & Privacy > General. Press Tab key on the keyboard until the Allow button is highlighted, then hit Spacebar on the keyboard to press Allow button. Close System Preferences window and start Parallels Desktop. 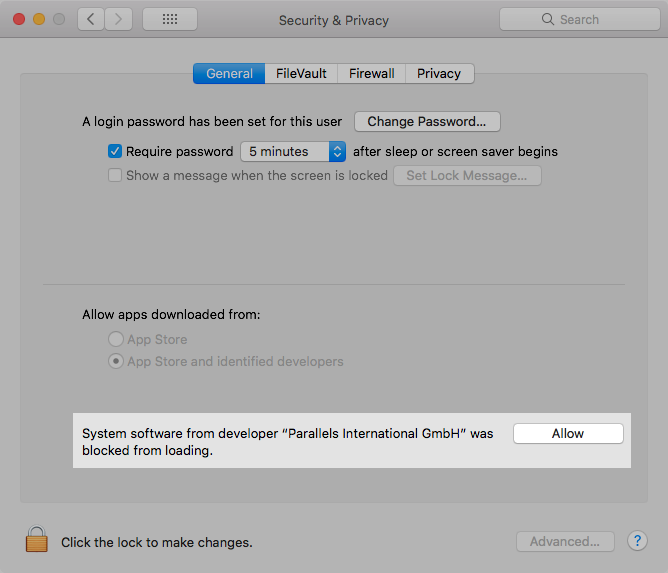 Why Parallels Desktop needs its own kernel extensions? com.parallels.kext.hypervisor - a proprietary core virtualization driver, which makes Parallels Desktop the best virtualization solution for Mac. com.parallels.kext.vnic - Shared Network driver, which is used by a virtual router who manages all network services for a VM, such as gateway,DNS, DHCP, port forwarding, network conditioner etc. com.parallels.kext.usbconnect - USB driver, loaded when a USB device connects to a virtual machine (VM). Supports all USB data transfer protocols except of isochronous transfer. com.parallels.kext.netbridge - Bridged Network driver, creates a virtual network adapter on Mac to connect a VM to Mac's subnet directly.